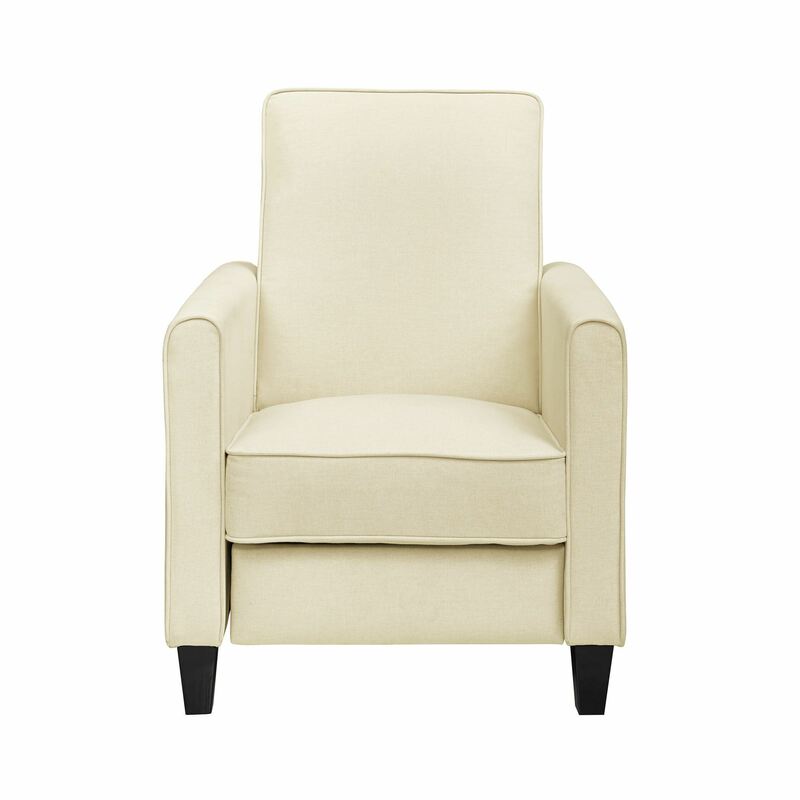 The Naomi Home Landon Push Back Recliner chair fuses style with comfort to create the ultimate experience in relaxation. The sleek and modern club chair design functions not only as an eye catcher, but also as a great place to watch TV or take a nap. Upholstered with durable and cozy linen fabric, this chair was professionally crafted to last, and to provide the optimum level of comfort. Not as comfortable as shown. This chair is not what I expected. Not comfortable at all. The colour was not what was shown in the picture. If you like rock firm then this is the chair for you. Considering the price the chair is amazing. Comfortable enough to lounge in. Loved the look and comfort so much that I purchased one more! I love this chair. Sitting on it and typing this review. Looks classy and blends with my room. Relaxing and Absolutely comfy. For the price = Great ! Purchased this one as an accent chair and for kids but loved it so much that I ended up using it myself as my primary chair.